Big Band rehearse every Monday during term time from 7pm-9pm in the Jack Hylton Room. This is the only fully auditioning ensemble within ULMS. As such auditions are held each year in the first rehearsal of Michaelmas term, which is usually in Week 2. The band usually consists of around 4 trombones, 4 trumpets, 5 saxes and 4 rhythm parts. In addition to this the band usually has a couple of singers, which are auditioned at the start of Michaelmas term as well. 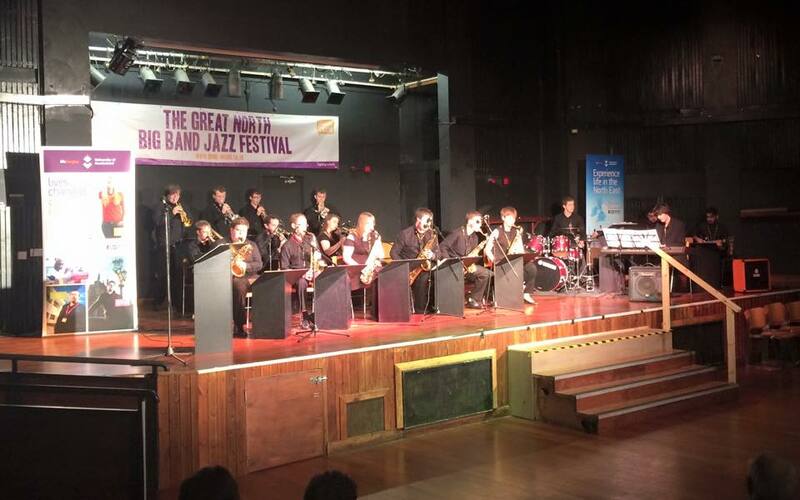 Last year the band entered the Sunderland Jazz festival in Lent term, as well as performing at the Big Swing in Dalton Rooms and on the main stage at Campus Fest. This year, the band once again performed the Big Swing Concert and also performed in the opening ceremony of Roses 2016. The Big band rep for 2019/20 is Hannah Bayliss, who can be contacted via Bigband@ulms.org.uk or 07870575287.